vintage early 1970's souvenirs from Florida. 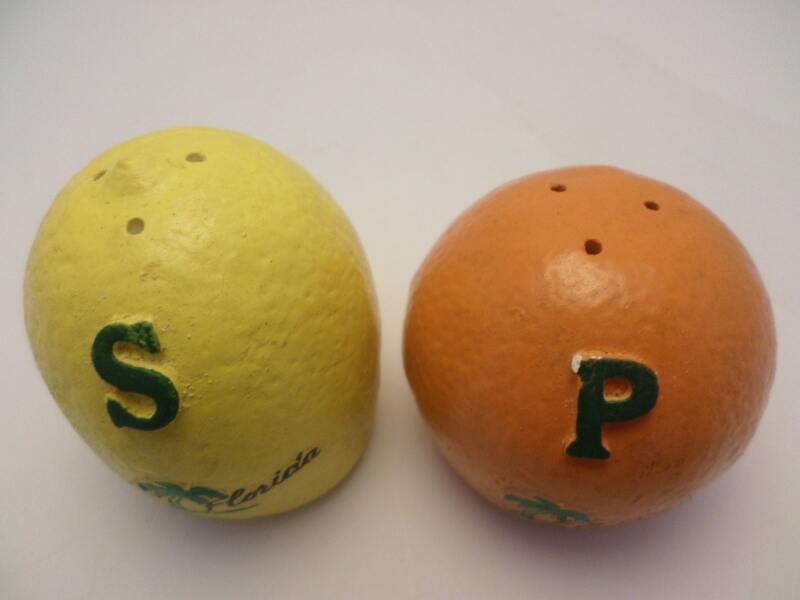 Salt & Pepper shakers chalkware with plastic corks. 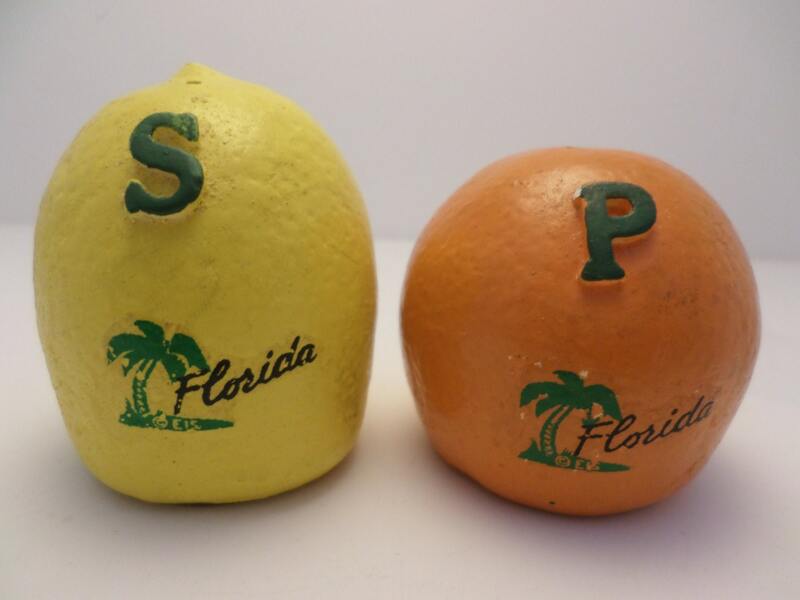 one lemon one orange or more like a clementine- both have palm trees and Florida on them as well as a raised S and P on each. 3" each they look almost life size. 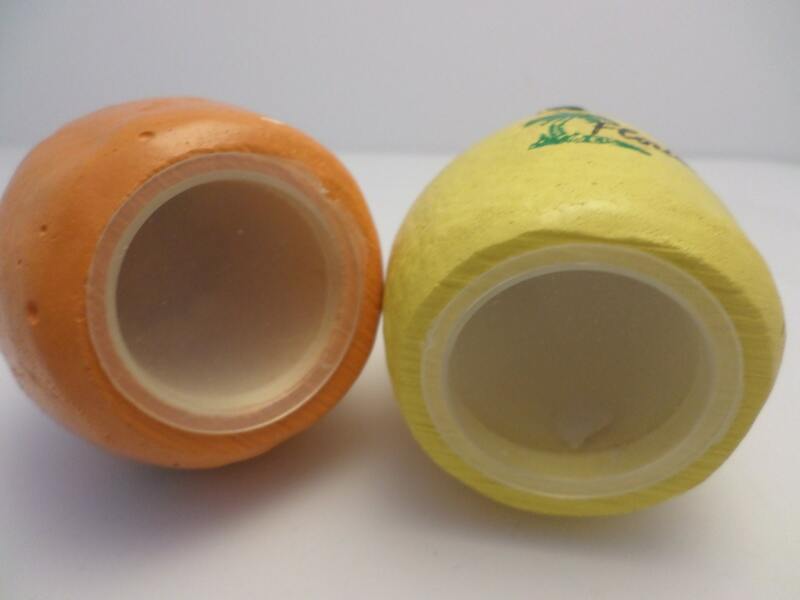 a fleck of paint off here or there but overall very nice condition with plastic corks and clean inside.